How Integrated security works for your business. Mike Gillespie explains how integrated security can be much more than just a security system. ROI is a crucial consideration when deciding what systems to purchase and Mike explains all the factors that could see a ROI on an integrated security package sooner rather than later. Posted in Integration | Comments Off on How Integrated security works for your business. 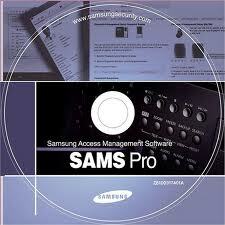 Samsung access management software or SAMS is Samsung’s new integrated security solution. This powerful software package offers an easy to use IT friendly integrated security package using a windows based platform suited for any size organization that wishes to integrate access control and CCTV together under one software based solution.